Neonatal hematology is a fast-growing field, and hematologic problems occur in the majority of sick neonates. 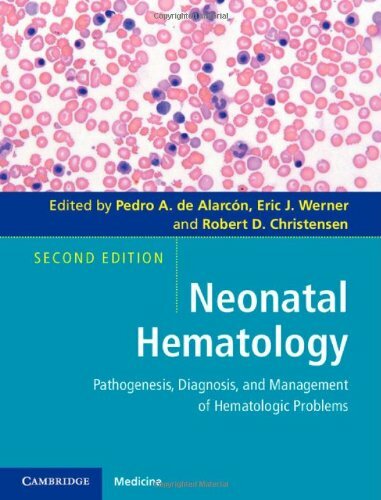 Focusing on clinical issues and problem-solving, this is a fully revised and updated revision of a successful practical guide to the pathogenesis, recognition and management of hematologic problems in the neonate. 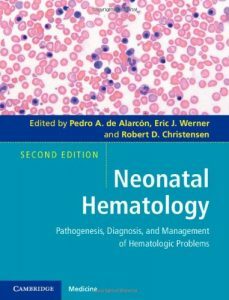 The second edition begins with chapters on the history of neonatal hematology, hematopoiesis, and the immunologic system. Subsequent sections are devoted to erythrocyte disorders, platelet disorders, leucocyte disorders, immunologic disorders and hemostatic disorders. New to this edition are an expanded coverage of neonatal oncology, cord blood utilization, neonatal screening, prenatal diagnosis and hyperbilirubinemia. Written by practising physicians specializing in pediatric hematology, neonatology, immunology, pediatric infectious disease and transfusion medicine, this is an essential text for pediatric hematologists, NICU specialists, neonatologists and neonatal nurse practitioners.